All parents will receive an SMS advising them on the outcome of their applications, the Gauteng education department said. The Gauteng department of education (GDE) said today that placements in grade one and eight made during the online application period would be made available by the beginning of August. “The Gauteng department of education wishes to inform parents who applied for 2019 admissions for Grade 1 and Grade 8 during the application period (16 April 2018 to 28 May 2018) that the placements of all applications will be made available on Friday, 3 August 2018. All parents will receive an SMS, advising them on the outcome of their applications,” the GDE said. 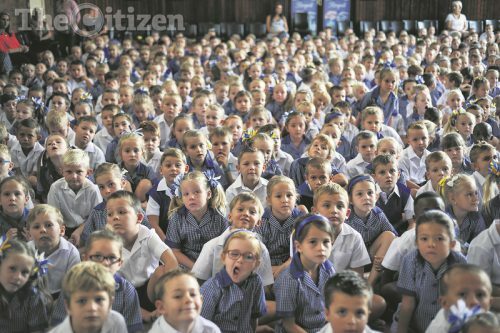 The GDE said parents could log on to www.gdeadmissions.gov.za to check the status of their application, or alternatively they could contact the call centre on 0800 000 789, or visit the nearest district office or public schools for any admission-related matters. The department urged parents to accept offers of placement within 7 working days of receipt of the offer, as failure to respond would result in the forfeiture of the offer to the next applicant on the school’s waiting list. “It must be noted that space availability is the key determinant of learners to be placed in a school. Placement will be conducted on a first-come-first-served basis,” the GDE said. The GDE said those applicants and all those who could not be placed by schools due to capacity would be placed by districts. “Once more the department is grateful for the cooperation and support received from parents,” said MEC Panyaza Lesufi.